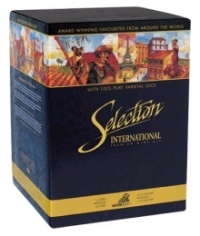 Selection International Series features grapes harvested from great winemaking regions across the world. Each kit contains 15 litres, 100% pure single varietal grape juice concentrate, finings, stabiliser and the best quality yeast. Just add water.